The point, clearly is that the our natural feelings must never be taken out of their proper sphere and elevated to the rank of philosophical principles. The fact that I am sad does not mean that the world is out of kilter, the fact that I have been hurt does not mean that God is unjust, and the fact that my personal life may have been darkened by tragedy does not mean that no sun shines upon creation. It is when emotion is transposed to a diferent dimension that we have a “problem of suffering “ and this, precisely, it what has happened in our time." For those who see themselves as isolated fragments, the experience of suffering is an experience of alienation and therefore an intolerable invasion. For the Muslim his personal identity and his destiny are one; nothing that enters his experience can be considered a ‘foreign body’ (…). The word maktub ‘ it is written’ or ‘fated’, means that whatever happens to us was inscribed upon our individual essence from the beginning of time. To wish that something else had happened to us is to wish ourselves other than ourselves, which is a perverse self-denial and indirectly, a denial of our Creator who gave us what He gave us. 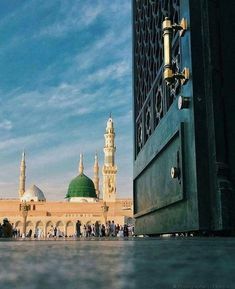 Abu Huraira reported the Prophet as saying : “ Go far as good things are concerned, be eager for what benefits you, seek help from Allah and do not be too weak to do so. [But] if some affliction comes to you do not say, “Had I done such and such this would never have happened.” but say, “Allah decrees, and He does what He wishes”, for “Had I done…” provides an opening for the devil’s action. "… the heart is and has always been central to our physical and spiritual existence… The heart is a sign of the magnificence of our creation. It links the spiritual and the physical, the apparent and the obscure, the perceptible and the imperceptible." "The Institute of Heart Math (IHM) in Boulder Creek, California… electrically recorded patterns in heart energy being affected by mental thoughts. Heart patterns that recorded as negative or damaging were calmed into healthy patterns by invoking memories of happiness, serenity, appreciation, etc. This verified change in dominant energy clearly demonstrates the interdependent nature of these two organs, as the heart reflects what you allow to dominate in your conscious mind. Here, I am going to venture beyond that concept and suggest that the heart prompts the change when the dominating energy has gone into a negative state." Describing case studies of patients she has personally treated for heart discomfort that were discovered to be experiencing emotional difficulties, Dr. Hablullah also reports the findings of research studies that indicate that a lack of supportive family and community ties is a factor in heart disease. Mainstream medical practitioners have written about how we benefit from loving and being loved as well. She says: "The heart… is integrative. It seeks to join with other hearts, and join with the greater whole. It thrives on love, joy and connectedness." "We must understand how we are responsible to each other and the mutual benefit that is reaped from kindness, mercy, compassion and love." "Our survival depends on the healing power of love, intimacy, and relationships. Physically! Emotionally! Spiritually! As individuals! As communities! As a country! As a culture! Perhaps even as a species." Dr. Ornish is a pioneer in conducting clinical research on the reversibility of disease, primarily heart disease, through diet and lifestyle changes. In Love and Survival, he presents the findings of his and other studies to demonstrate that "perhaps the most powerful and meaningful intervention is love and intimacy, and the emotional and spiritual transformation that often results" . Most importantly, salvation itself hinges on the state of our hearts. Almighty God reminds us in the Qur’an, “On a day no amount of wealth or children will be of any benefit; unless one comes before Almighty God with an upright heart (26:88-89).” This is where we really get into the crux of the matter before us - healing. An upright heart is one that has been freed from all of the diseases and imperfections that might afflict it. It has been rid of jealousy, envy, avarice, greed, covetousness, sloth, selfishness, rancor, hatred, fear, despair, impatience and all of the other characteristics that are displeasing to God and loathed by people of character and discernment. When these characteristics permeate a heart, the person is not well. In this state, the ability to extend a helping hand to others is severely restricted. The ability to empathize, to perceive the suffering of others, to understand the pain that may ensue from reckless, sinister or ill-conceived actions is sadly lacking. Such hearts can be healed, but the process it involves is slow and unglamorous. They are healed by a sincere belief that once rectified their possessors will be moved into realms of God-consciousness and self-realization that will bring an unfathomable sweetness to life. That belief pushes the aspirant forward to undertake the hard work of litanies, prayer, invocations, supplications, fasting and quietly reflecting on the words of the wise, begin with the words of the All-Wise – Almighty God. Over time, if one is patient enough, a transformation occurs. Where there was jealousy and envy, magnanimity will reside. Where there was selfishness, greed and covetousness, charity will reside. Where there was rancor and hatred, love will reside. Where there was fear, courage will reside. Where there was despair, hope will now reside. And finally, fittingly, where there was impatience, patience will reside. These are the fruits of an upright heart. Their benefits help us to negotiate the many frustrations, disappointments and oftentimes daunting challenges life presents us. When we ourselves are able to make our way safely down the road of life, we find ourselves in a position to assist others. These are days when there are many people needing such assistance and by rectifying, buttressing and then opening our hearts we will be able to assist others. By so doing, we will be further healing ourselves and helping others to heal. Etty was a Jewish woman who died in Auschwitz in 1943 aged 29. Etty wrote diaries and in them are deep lessons for us all. This post will touch briefly on a few of those lessons and what they may mean for us today. I will quote Etty’s words and offer a few thoughts. On Peace. ‘Ulimately, we have just one moral duty: to reclaim large areas of peace in ourselves, more and more peace, and to reflect it toward others. And the more peace there is in us, the more peace there will also be in our troubled world.’ Etty points to a true but oft missed point. Peace has to start with me not with others. If I am not a person of peace I cannot offer peace or work authentically for it. Peace starting from our own heart then becomes a river flowing to all. On Identity and Integrity. ‘I don’t want to be anything special. I only want to try to be true to that in me which seeks to fulfill its promise.’ Etty sought to be true to her values and heart. She did not want any special accolades. She knew if she was true to herself and her deepest centre then she was obtaining true identity, integrity and integration. On Learning and Wisdom. She wrote, ‘…probably the only right way with literature, with study, with people or with anything else: to let it all soak in, to let it all mature slowly inside you until it has become a part of yourself. That, too, is a growing process. Everything is a growing process. And in between, emotions and sensations that strike you like lightning. But still the most important thing is the organic process of growing.’ Here is a startling challenge to the fast mountain of paper and computer files approach that covers our land. Etty calls for a soaking and growing process with moments of inner illumination. On Why We Are Here. ‘We should be willing to act as a balm for all wounds.’ These words from this kind and visionary young woman are an antidote and countersign to what Auschwitz and the death camps represented. Etty calls for us to serve and act as healing balm to others. In this one finds an answer to the struggles and issues of the world. We are a wounded world so need healing and balm. Etty’s voice like Viktor Frankl and Anne Frank call out of the darkness. They show us how not to sink into the darkness. They call us rather to create wherever we are cultures, conversations and civilizations of love and goodness. More than that, they speak softly, teaching us that we have to start at home. "The ability to die one's own death depends on the depth of one's embodiment. Medicalisation spelled dependence, not disembodiment. Disembodied people are those who now think of themselves as lives in managed states — like the RAM drive on their personal computer. Lives do not die; they break down. You can prepare to die — as a Stoic, Epicurean, or Christian. But the breakdown of life cannot be imagined as a forthcoming intransitive action. The end of life can only be postponed. And for many, this managed postponement has been lifelong; at death, it is an uninterrupted memory. They know that life began when their mother observed a foetus on the ultrasound screen. A life, they were then an object of environmental, educational, and biomedical health policies. Today, it is not sophisticated terminal treatment but lifelong training in misplaced concreteness that is the major obstacle to a bittersweet acceptance of our precarious existence and subsequent readiness to prepare for our own death. When this situation is widespread, one can justifiably speak of an amortal society. There are no dead around; only the memory of lives that are not there. The ordinary person suffers from the inability to die. In an amortal society, the ability to die — that is, the ability to live — no longer depends on culture but on friendship. The old Mediterranean norm — that a wise person needs to acquire and treasure an amicus mortis, one who tells you the bitter truth and stays with you to the inexorable end — calls for revival. And I see no compelling reason why one who practises medicine could not also be a friend — even today. The subtitle of this photographic essay is "The Story of a Country Doctor." Berger and Mohr give the reader an imaginative portrait of Dr. John Sassall, an English general practitioner who lives and practices in a remote rural community. The book begins with several stories of Sassall’s work with patients, gradually introducing the man himself and revealing his thoughts about his profession, his life, and the nature of healing. Berger explores what people in the community think about this unusual doctor who has given up his chance to "get ahead" in the world in order to remain with them. They are sure he is a "good doctor," but what does that mean? How does one judge "goodness" in a physician? Berger comments in an impressionistic way on the nature of Sassall’s relationships with patients--a complex mixture of authority, fraternity, and intimacy. The latter part of the essay expands its focus to the community as a whole and the nature of contemporary medicine. Throughout the book, Jean Mohr’s photographs serve as indispensable features of the story. This fine essay is an excellent source for reflection about the physician-patient relationship and the physician’s place in the community. Howard Brody refers extensively to Dr. Sassall’s story in Stories of Sickness (New Haven, Yale University Press, 1987), and also in his discussion of the stages of compassion in The Healer’s Power (New Haven, Yale University Press, 1992, pp. 257-258). Contemporary students are likely to find Sassall’s experience dated; certainly the photographs depict a different world from 1990’s medicine in the United States. Yet, the book is full of insightful comments on illness and doctoring that are just as apt today as they were 30 years ago in rural England. Just one example: "In illness many connections are severed. Illness separates and encourages a distorted, fragmented form of self-consciousness. The doctor, through his relationship with the invalid and by means of the special intimacy he is allowed has to compensate for these broken connections and reaffirm the social content of the invalid’s aggravated self-consciousness." (p. 69). The Healing Power of Prayer: Faith vs Reason? ﻿Our society thrives on tension and competition. Ideas, like sports teams, compete to win. We are the referees of these contests. Many of these competitions in the public square are ongoing. Some of these duels are locked in a dead heat. Others are in overtime. Some are ‘challenge matches’ when a vanquished idea wants another shot to change the original outcome. Many of these controversies may never be resolved. In addition, the outcomes may change because we – the referees – have changed. What was considered to be a foul years ago may now be regarded as fair play. The medical profession is riddled with many internal conflicts that will not be easily resolved. Here are a few, and I’m sure readers could add generously to the list. A patient I saw some months ago in the hospital illustrated another conflict that we physicians face, from time to time. Although the case was a typical case of internal bleeding, it could be classified as a Case of Faith vs Reason. Here’s a brief synopsis of the case. An 81-year-old male was hospitalized with rectal bleeding. I had treated this man years ago, and was requested to assist in his care once again. Gastroenterologists are typically consulted on patients with internal bleeding. A day later, I performed a colonoscopy and determined that the bleeding was originating from pouches in the large intestine called diverticula. This is a common scenario and the bleeding usually ceases spontaneously. Each day, he continued to bleed, but never to an alarming degree. He received only 2 units (pints) of blood over the first few days, indicating that he was not in urgent danger. Then, he had an abrupt event when he bled suddenly and dropped his blood pressure. At that point, he was transferred to the intensive care unit for closer observation. He was given additional blood transfusions and a 2nd bleeding event occurred. We performed an urgent angiogram, which is useful in acute, ongoing bleeding to identify the leaking artery and to seal it. The result was completely negative. Most physicians at this point would advise the patient to consider surgery, to remove the section of the large intestine that is continuing to bleed. I requested that surgeon evaluate the patient and anticipated that he would perform surgery on that very day. My assumption was incorrect. The surgeon, a careful and compassionate physician, agreed that surgery was indicated, but no operation would take place. The patient preferred a different therapeutic plan, which I will paraphrase here. This is a man who knows something about faith. He has been a priest for longer than I have been alive. He also knows about reason. He has more post-graduate formal education than nearly anyone I know. After earning his baccalaureate undergraduate degree, he earned a masters and doctoral degree. But for a dissertation, he would have earned a second Ph.D. I would have opted for the surgery for myself, and would have enthusiastically supported his decision to undergo it. But, I wasn’t the referee in this contest, he was. He listened carefully to the medical professionals, and then viewed this information through the prism of his own life experiences and beliefs. I’m sure there was a contest occurring in his own mind, but he was able resolve it calmly and confidently. He didn’t say that he wouldn’t have surgery, only that he wanted to try something else first. The bleeding stopped and the patient was discharged. The surgeon remained idle. Did the patient know something that the rest of us trained physicians didn’t? Clearly, he knows that choosing the best answer on the gastro board exam may not be the right answer for him. It’s refreshing to watch someone who can choose a different direction defying convention and momentum. Again, this man is not an idealogue. He was willing to call the surgeon back. Even now as I look back, I believe that I reached a stage of prayer that I have not yet equaled in fifty years of training and practice as a religious. I can still see the goodness of the Lord in all that happened. I am honored to care for many priests and nuns in my practice. They are wonderful human beings who exude peace and contentment. They tell me that they pray for me, and I’m glad that they do. Who would turn down prayers from Father Pittman? Tara Brach is a clinical psychologist, author, lecturer, and teacher of Buddhist mindfulness meditation. Her newest book, “True Refuge” explores the pathways through which we find what her title suggests, our true refuge – one that exists within each and every one of us. Just what are we radically accepting? The psychologist Carl Rogers said, "The curious paradox is that when I accept myself just as I am, then I can change." Acceptance means we're accepting the actuality of what's happening inside us--hurt, anger, fear, shame. Such honest presence with our experience is a precondition for healing and change. After it come wisdom and compassion. How much of your philosophy is Buddhist and how much is universal? In The Perennial Philosophy, Aldous Huxley describes the teachings of nonseparation--how we all belong to everything, how loving awareness or loving presence is the source of all beings--how, as we unfold, we discover this. Buddhism is one expression of that philosophy. Buddhism teaches that suffering comes from feeling separate, which goes hand in hand with the sense that something's missing or wrong. Fear is the primal mood of the separate self. Without our realizing it, much of our lives can become organized around feeling we're fundamentally isolated and flawed. Your big lessons from Buddhism? To stop thinking that happiness can come from chasing after fleeting pleasures and running away from discomfort and difficulty. Such a life prevents us from discovering the aliveness, tenderness, and beauty that arise when we're fully here now. Even when our lives seem terrible--with the diagnosis of a malignancy or the loss of a loved one--living in the present with deep awareness can reawaken our compassion and wisdom. It also gives us confidence that we can handle whatever happens. Your grand lessons of life? If at any moment I stop and ask myself what I really care about, my life becomes aligned. It doesn't matter what I'm in the midst of doing. If I reflect on what's important, I'll remember to pause, relax, and open my heart. To make my case, I will use the example of "Richard"—an example based on a real person, though I have disguised his identity enough that even he would not recognize himself. Richard is a physician who knew he was experiencing all the symptoms of a major depressive disorder. He ended up seeking not only professional help, but also help from his own faith community. Through this example, I will describe seven areas in which psychiatrists can learn something from faith communities. Each of these lessons may seem self-evident but, in the midst of a busy practice, they can, all too easily, be forgotten. Depression is at once both biological and spiritual. We are embodied souls and, from the vantage point of the patient, there is no room for either Cartesian dualism or a totally materialistic approach (unless the patient is a philosopher, and, even then, I am not certain he would appreciate such an approach in the midst of illness). Describing his own depression, Andrew Solomon said that when he became depressed, he found a soul; he broadened his range of emotion and felt more connected to what was deep inside of him. Likewise, even though Richard was a physician, had read the Diagnostic and Statistical Manual of Mental Disorders (DSM), and knew others who had experienced depression, about his own depression he said that he suffered from a "sick soul." He knew that there was an emptiness that had plagued him most of his life, and his major depression brought this emptiness to the fore. He did not totally regret the experience, even though it was very painful. For healing to occur, the road Richard had to travel to recovery passed through a spiritual, as well as a biological and a psychological, landscape. Faith communities consider spirituality to be a central property of personhood, so they are equipped to address this sense of having a "sick soul." Faith communities help the depressed person search for meaning in the depression. Depression is an emotion in search of a meaning, yet that meaning may never be found while someone is in the midst of a severe depression. At times, the meaning is more or less apparent, but at other times, it is not apparent at all.With the illness of depression, it is the search that counts, and a nonjudgmental faith community is an environment that encourages searching.. Faith communities help us name our depression. We all search for a name for our infirmities. Faith communities teach us that there is a "social psychiatry." We have virtually lost our appreciation for the importance of the social environment in the causation and the healing of psychiatric disorders such as depression. But such factors as social support, social integration, a retreat to alternative social groups, and instrumental support (with the activities of daily living, like home repair) can be most important in the healing process of depression. Faith communities can be invaluable sources of such support; indeed, they are among the most natural places in our society to find it. Faith communities teach that hope and purpose are critical to healing depression. Depression often seals off those who are suffering from a sense of hope. They see no future, and our society does not always provide messages of hope to counter this perception. Faith communities almost invariably look to a future that is better than the present, finding hope in that future. Faith communities teach that helping those who are depressed is a "family affair." Depression occurs in context. It is not isolated. At some level this is obvious, but psychiatrists may overlook it, thinking they do not need to worry about the context. Depression doesn't work that way. To understand an individual's depression, a psychiatrist must understand the person, the family, the workplace, and the community (including the faith community) in which that person exists. Majid Rahnema: Ivan, I was already "contaminated" by many of your ideas on development and education, when I first read your talk on "Development as Planned Poverty," later followed by your other great essay on the Epimethean Man. Like your other writings, those papers continued to display the laser quality of your mind which allowed you to pierce through many of the opacities of your times. If I am correct, you have never been interested in the kind on actions in which missionaries, developmentalists or Marxist and other social intervenors generally take pride; namely, to extend care or assistance to those who are presumed to suffer or need help. Unlike them, you seem to consider this attitude as both unloving and unrealistic, arrogant and counterproductive. By contrast, you have always been concerned with the art of suffering, in particular the history of different cultures in coping with their sufferings. And you have deplored the fact that modernity has affected this art very negatively, while it has created new and perhaps more intolerable forms of suffering. This position has led some of your critics to argue that you are interested more in the history of the arts of suffering than in actions aimed at reducing or eventually eliminating different forms of sufferings. Hence, the following set of questions: To what extent do you believe that human solidarity implies that one has to somehow respond to suffering, eventually with a view either to reducing it, or to transforming it into an elevating exercise that is the opposite of its dehumanizing forms? And if so, could these be achieved in a meaningful and dignified manner? Ivan Illich: Majid, there is something unsettling about your inquisition. Here we are, seated on my futon with a steaming samovar in front of us, relaxing in my mansard in the Bremen house of Barbara Duden: You soon to depart to celebrate the 75th birthday of Dadaji; I to teach one more class on the history of iconoclasm at the university. Just last night, with my students who are also your readers, we celebrated your 70th birthday. Thus I cannot very well reject your request. Further, I speak with pleasure, for your questions are a poignant reminder of a conversation that has been a true enquiry. I know this is so because I remember it as controversial and polemical in character. Now we are both older; each of us had to advance along his own road to reach a level where we can find ourselves in agreement. You are correct in your belief that I had qualms about the notion of economic development early on.During a decade or more, my criticism focused on the procedures used in the attempt to reach goals that I did not then question. I objected to compulsory schooling as an inappropriate means to pursue universal education -- which I then approved (Deschooling Society). I rejected speedy transportation as a method of increased egalitarian access (Energy and Equity). In the next step, I became both more radical and more realistic. I began to question the goals of development more than the agencies, education more than the schools, health more than the hospitals. My eyes moved from the process toward its orientation, from the investment toward the vector's direction, toward the assumed purpose. In Medical Nemesis, my main concern was the destruction of the cultural matrix that supported an art of living characteristic of a time and place. Later, I increasingly questioned the pursuit of an abstract and ever more remote ideal called health. Majid, it is only after those books to which you just referred -- that is since the 1970s -- that my main objection to development focuses on its rituals. These generate not just specific goals like "education" or "transportation," but a non-ethical state of mind. Inevitably, this wild-goose chase transforms the good into a value; it frustrates present satisfaction (in Latin, enough-ness) so that one always longs for something better that lies in the "not yet." Majid Rahnema: This morning, I conveyed to you the message of a younger friend who asked me to thank you for having left a deep mark on his life, since the first time he learned from you the need constantly to question his certainties. Although the lesson had enriched this friend's inner life in many ways, it has also, I guess, acted on him as a destabilizing factor, actually discouraging him from continuing to take an active part in social life, as he did before. Thinking of him, I sometimes wonder whether the joy and indeed the inner clarity gained by this type of questioning does not sometimes hinder one's capacity to relate to the outer world and to participate in a meaningful social life. To help you grasp the depth of my question, I think of a beautiful answer you gave to David Cayley when he asked you, "Once one has laid bare these certainties and becomes aware of 'needs,' 'care,' 'development' -- whatever these cherished concepts are -- once one has investigated them, once one has seen... how destructive they may be, what next? Is your counsel to live in the dark?" You emphatically said "No" to him, and then added: "Carry a candle in the dark, know that you're a flame in the dark." To me this is a Buddhist answer, the kind of comment which makes me sometimes believe that, despite your resistance to the idea, you often come close to the Buddhists in some important areas on thinking and action. But, closing this parenthesis, I remembered you saying yesterday that Buddhists who use meditation or other "spiritual" exercises tend to focus more on their navels than upon the possible consequences of their belief in their oneness with the world. So, in the name of eliminating the causes of sorrow, you said, they actually sever themselves from other people's sufferings rather than experiencing them. Ivan Illich: Majid, your queries are like challenges, more stimuli than questions. Now you ask something which just fits the sense with which we concluded our first session. Tell your friend the story of Saadi's Golestan, the story you related at the celebration last night: "In the annals of Ardashir Babakan, it is told that he asked an Arabian physician how much food one should eat daily. He replied, "A hundred dirham's weight would suffice." The king pressed him further, "What strength will this quantity give?" The physician answered, "This quantity will carry you; and that which is in excess of it, you must carry." "Enough" is like a magic carpet; I experience "more" as a burden, a burden that during the 20th century has become so heavy that we cannot pack it on our shoulders. We must load it into lorries that we have to buy and maintain. Now, Back to your questions. I worry about minds, hearts and social rituals being infected by development, not only because it obliterates the unique beauty and goodness of the now, but also because it awakens the "we". The refinement of the first-person experience has been largely washed away wherever development has set it. The multiple "we" was traditionally characteristics of the human condition; the "first person plural" is a flower born out of sharing the good of convivial life. It is the opposite of a statistical "we", the sense of being jointly enumerated and represented in a graphic column. The new voluntaristic and empty "we" is the result of you and me, together with innumerable others, being made subject to the same technical management process -- "we drivers," "we smokers," "we environmentalists." The "I" who experiences is replaced by an abstract point where many different statistical charts intersect. Assure your friend that neither naval gazing nor flight from the city is appropriate; rather only a risky presence to the Other, together with openness to an absent loved third, no matter how fleeting. And remember that there is no possibility of achieving this so long as the candle near our samovar stands for "everyone". The most destructive effect of development is its tendency to distract my eye from your face with the phantom, humanity, that I ought to love. This raises a profound question: What is essential to practicing medicine virtuously? At a recent meeting of the President’s Council on Bioethics, Dr. Daniel Foster offered a tacit answer: competence and compassion, but competence first of all. In our world, competence means skill in diagnosis and treatment, using the best techniques that modern medical technology has to offer. The virtuous doctor must be a master scientist. He must understand the materiality of the person. Yet while medicine is functionally dependent on science for its tools, the ends of medicine involve more than the triumph over disease; good doctoring also encompasses the spiritual and moral struggles of patients living with uncertainty and distress. When faced with relatively simple ailments such as pneumonia, these broader humanistic considerations might remain out of view. Scientific competence is enough. But when we face a disease we cannot cure or even hold at bay, the physician’s job does not end. Virtue is still possible for the doctor, so long as we understand what distinguishes medicine from science. This raises an even deeper question: Does the scientific education of doctors strengthen or undermine their capacity for non-scientific virtue, for the work of diagnosing and healing souls, for the burdens of the “physician as priest”? Obviously, it is the material response that patients first seek from us, hoping a pill or procedure can restore them to good health. But it is also clear that natural science cannot be the only form of help we bring the sick — even when our interventions cure them, and especially when the body’s incurable ailments afflict the soul. It would be the very opposite of wisdom to believe that doctors alone can heal the souls of their patients. Yet to conceive of the patient as materiality alone is a kind of degradation, even if that is what the patient wants. Since human beings will always be mortal and suffering, medicine will often be inadequate and always incomplete. The truly wise response to suffering may not be the righteous, indignant call for more science but an acknowledgement that no matter the disease, the physician pledges to see the patient through to the end — come what may, cure or no cure, albeit with the best available resources at the present time. And our own limitations as doctors, instead of being simply occasions for disappointment, might also be occasions for reflection on man’s fate. To this end, we need to bring into view the necessary limitations of natural science with regard to larger human questions. We need to recall, if briefly, the origins of the modern scientific project, so we can better understand its insufficiency when it comes to preparing doctors for their work. The word compassion means “to suffer with.” Compassionate care calls physicians to walk with people in the midst of their pain, to be partners with patients rather than experts dictating information to them. One of the challenges physicians face is to help people find meaning and acceptance in the midst of suffering and chronic illness. Medical ethicists have reminded us that religion and spirituality form the basis of meaning and purpose for many people . At the same time, while patients struggle with the physical aspects of their disease, they have other pain as well: pain related to mental and spiritual suffering, to an inability to engage the deepest questions of life. Patients may be asking questions such as the following: Why is this happening to me now? What will happen to me after I die? Will my family survive my loss? Will I be missed? Will I be remembered? Is there a God? If so, will he be there for me? Will I have time to finish my life's work? One physician who worked in the pediatric intensive care unit told me about his panic when his patients' parents posed such questions. It is difficult to know what to say; there are no real answers. Nevertheless, people long for their physicians as well as their families and friends to sit with them and support them in their struggle. True healing requires answers to these questions . Cure is not possible for many illnesses, but I firmly believe that there is always room for healing. Healing can be experienced as acceptance of illness and peace with one's life. This healing, I believe, is at its core spiritual. The effect of spirituality on health is an area of active research right now. Besides being studied by physicians, it is studied by psychologists and other professionals. The studies tend to fall into 3 major areas: mortality, coping, and recovery. No sudden flash of insight led my return to God. It was the children who ultimately brought me back—the same group of suffering individuals who had caused me to doubt God’s existence. They buffeted me with questions: Why would God let them be so sick? Why didn’t God make them better? Why weren’t their prayers working? Why did God let their mom and dad break up? Abused children asked me why God had not stepped in to stop their torture: Why wasn’t God on their side? Physicians today distinguish disease from illness: disease is the defined condition someone has; illness is the disease and its effects on person, family, friends and social roles. In another time, it was all illness, which was not private, especially when one was suffering or dying. Illnesses are messier than diseases because one must deal with much more than an organ or an individual. Yet when one can facilitate healing of a person, one has made a major impact, not only on the life of the ill person but also on the lives of those around him or her. Only God can heal because only God can affect people profoundly on both microscopic and macroscopic levels. We human beings do our part, but the project is much larger than we are. In life, especially during illness, our human abilities often fall short. Yet extraordinary events happen. Conflicted relationships are healed. Hopeless situations are resolved. Seemingly impossible events take place before our eyes. Are these coincidences or moments of grace? Healing is always possible even when cure is not. Cures are usually restricted to the resolution of adverse physical conditions, and sometimes a cure is not possible. Healing is more holistic in that it encompasses the physical, psychological, social and spiritual. Although a dying person will not be cured, he or she can be healed. In the end, cure will elude every one of us, but healing need not.